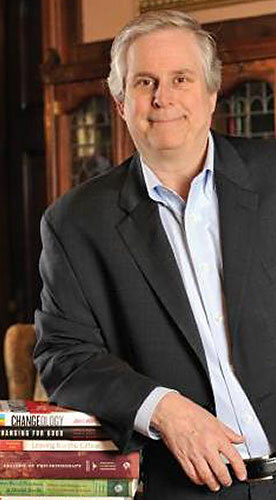 Over the course of three decades, Dr. John C. Norcross, an internationally recognized expert on behavior change, has researched how people successfully change. 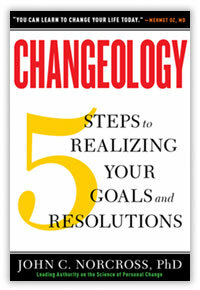 Now, Changeology, incorporating the most up-to-date scientific findings, is being made available as a practical guide. From smoking and drinking to obesity, depression, and relationship distress, Dr. Norcross’s methodology has rescued people from dozens of behavioral ailments. Follow the 90-day plan with 5 simple steps: Psych (get ready), Prep (prepare before leaping), Perspire (take action), Persevere (manage slips), and Persist (maintain change). Backed by self-assessments, a free interactive website for customizing plans, and cases featuring the most popular goals, this is the ultimate tool for realizing any New Year’s resolution—and sticking to it.